Some images from the Penn Quarter farmers’ market (7th and D streets NW), and one of the organic food trucks – Cirque Cuisine. 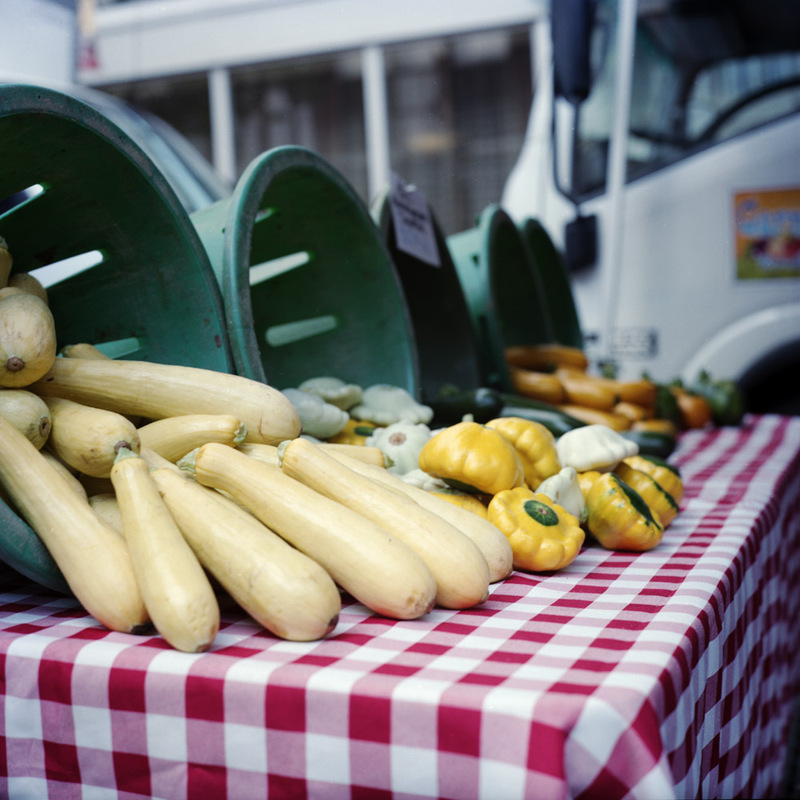 There’s a growing organic and whole/natural food scene here in DC and they have a number of farmers’ markets in various neighborhoods throughout the city. The one at Penn Quarter is special because every vendor there actually grows or makes everything they sell, even the flower vendors and the soap sellers. The beef and bison is raised and butchered by the folks who sell it there, and the bread is sold by the baker. 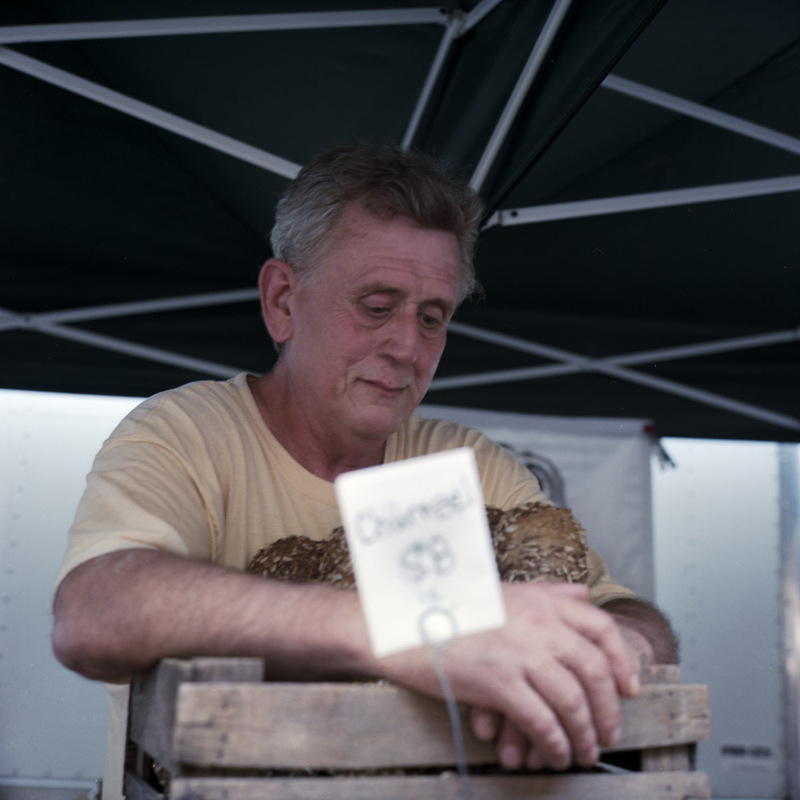 Many other farmers’ markets have vendors who buy their products wholesale and are not responsible for their production. 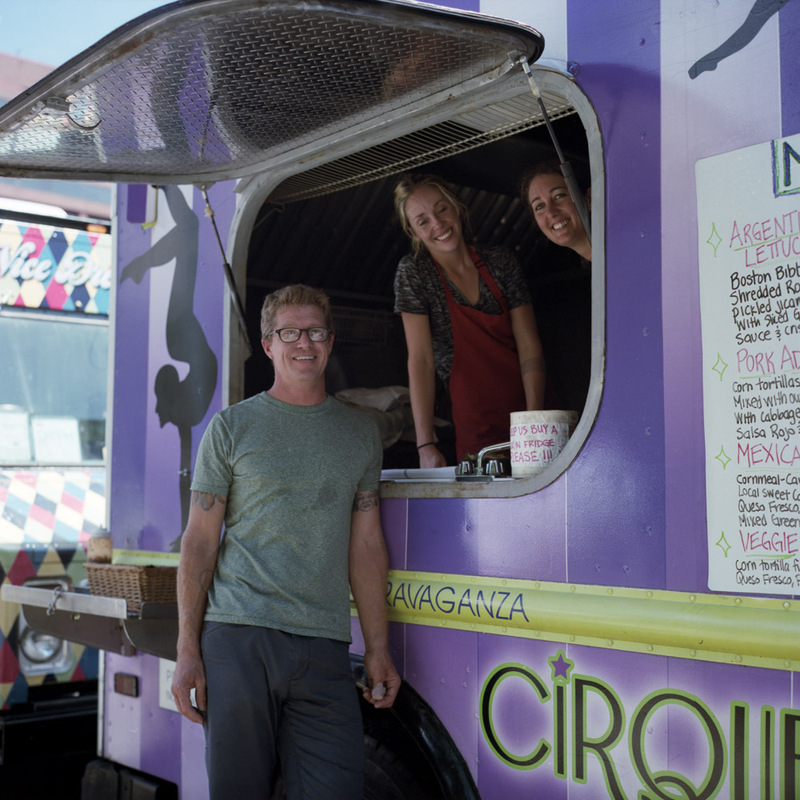 Although the Cirque Cuisine truck doesn’t work the farmers’ markets, (I usually find them at Franklin Square Park) they do use natural, organic ingredients in their food, and as such they’re part of the healthy organic food movement here. And they also have some really tasty sandwiches! These shots were part of a test run from my newly renovated Rolleiflex. I’d say it is working great, wouldn’t you? 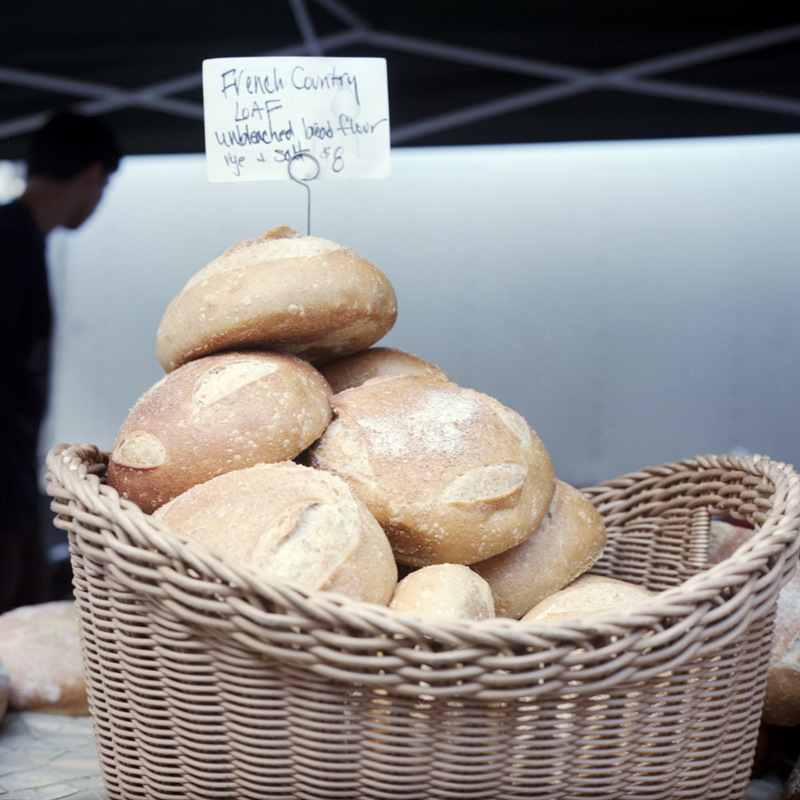 I had a great chat with the bread man about the Rollei – it brought out a bout of nostalgia for him as he remembered people using them in his childhood. I caught him in a candid moment – he’s actually quite animated and friendly, and not depressed like he seems in this shot. The Rollei is a great conversation-starter because it attracts a lot of attention and people respond positively to it. I don’t know why per se- maybe it is that nostalgia factor, or because it just has that classic look to it.